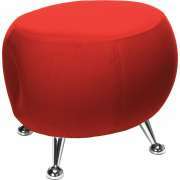 Purchase Reception & Lobby Seating: See Our Best Sellers! 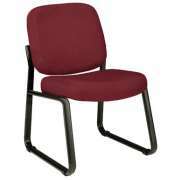 Leave a great first impression with inviting reception chairs from Hertz Furniture. How can you create a comfortable waiting room? Our elegant chairs will be the focal point of any reception area, making your work space cozy and inviting. With comfy seating around, visitors will enjoy a relaxing wait. 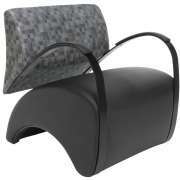 Give your clients and colleagues the all star treatment with luxurious and attractive lobby chairs. Our smart-looking modular office reception seating allows groups to confer quietly before making presentations. A great selection from Hertz Furniture ensures that any wait will be a pleasant one. 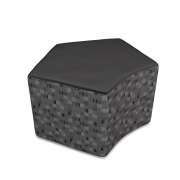 You don't have to compromise on personal taste to get great reception seating. Hertz Furniture's huge selection of colors and styles is sure to include a number of attractive options for anyone. 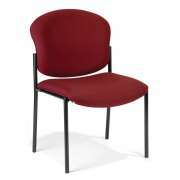 We have classic individual reception chairs with wooden frames, thick padding and soft upholstery. Rows of attached seats which are separated by supportive armrests are also available. If you want many seats next to each other, this is a great option because it saves space and creates straight rows. What will make my lobby look classy? Club chairs are also available for those who want a more luxurious option. Club chairs generally offer thicker padding and larger seats. Leather reception chairs are exceptionally comfortable and luxurious. We have a wide variety of choices in both leather and other upholstery materials. Many of these options are available with matching loveseats and sofas. Settees and couches can often be found in large professional companies. 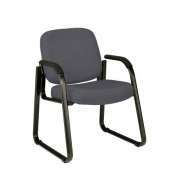 They are ideal for waiting rooms where only a few high-class clients or colleagues will be waiting at any given time. 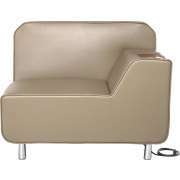 People often order matching loveseats and sofas because they help set the mood in a waiting room. They also ensure that people can really sit back, relax and sink in while they are waiting. What color should the lobby chairs be? Color selection depends on where you want to put your waiting room chairs. 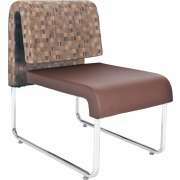 A variety of upholstery options helps you coordinate your reception seating with other office lobby furniture. 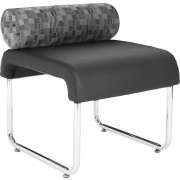 We have options that are upholstered in fabric, vinyl or leather. Don't underestimate the importance of your fabric selection. If you choose upholstery for your lobby chairs that is too busy and loud, people might walk away feeling dizzy. However, if you choose upholstery for your club chairs that is generic, dull and boring, potential clients might get the impression that your company is as well. Ultimately, the ideal selection probably falls somewhere in the middle and definitely depends the desired impression of each individual company or branch. 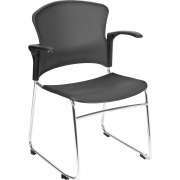 How do I choose the best lobby chairs? Lobby chairs are entirely a matter of personal style and space. A doctor's office or school lobby often has a larger waiting area in which attached rows of chairs are highly useful. If however you need office lobby furniture for a small accounting or law firm, you might want to choose individual reception chairs or club chairs. Whichever office lobby chairs you choose, your reception furniture will be greatly enhanced by matching coffee and end tables. Hertz Furniture has a number of table options, many of which match perfectly with particular reception seating collections. 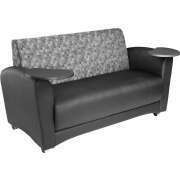 With coordinated lobby furniture, your whole office environment will take on a more classy professional air. What is the best company for reception furniture? 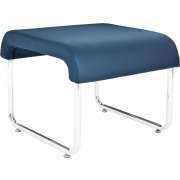 If you favor a particular vendor, we have models from many of the leading reception furniture companies. Our wide variety of Lesro options lets you find the absolutely perfect combination of style, upholstery and wood. 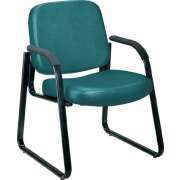 We also have waiting room chairs from Better Built Quality, High Point, OFM, Mayline and more. What should I look for in a lobby chair? 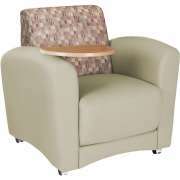 Guest chairs come with various combinations of features. When thinking about support and mobility, it is important to consider the style of the chair legs. Sled-based options are ideal for carpeted floors because they won't damage the rug when they are moved. Of course, there is always the traditional option of a classic leg design. 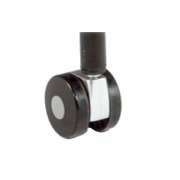 We also offer models with casters for smooth rolling from place to place. 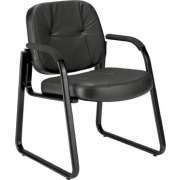 Reception chairs also vary in terms of arm and back support. For the most padding, we offer a selection of sofas, settees and club chairs. 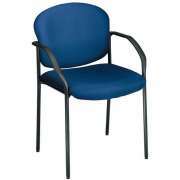 We also have wood-based chairs with loop armrests. 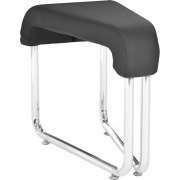 Armless options and bench-style seating options which have no arms or backs are available as well. Whether you prefer classic, traditional, contemporary or something truly unique, Hertz Furniture is confident that we can offer you a number of lobby chair options that you will love. Hertz Project Solutions is here to help you with every step of the process, from determining how many seats you need, to coordinating your reception area to installation. Many of our models even come with an extended warranty so you can be sure to enjoy your new reception chairs for many years to come. 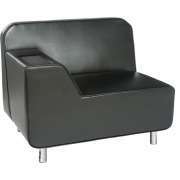 Need help budgeting for your new reception furniture? Contact our financing department.